Objectives To study the longitudinal effects of prenatal nicotine exposure on cognitive development, taking into consideration prenatal and postnatal second-hand smoke exposure. Methods A cohort follow up study was carried out. One hundred and fifty-eight pregnant women and their infants were followed during pregnancy and infant development (at 6, 12, 30 months). 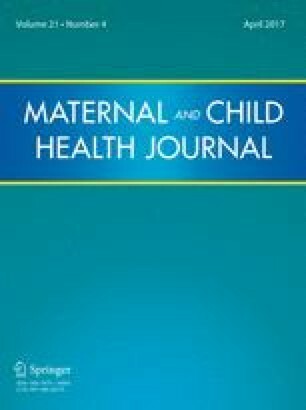 In each trimester of pregnancy and during postnatal follow-up, a survey was administered to obtain sociodemographic data and the details of maternal and close familial toxic habits. Obstetric and neonatal data were obtained from hospital medical records. To assess cognitive development, the Bayley Scales of Infant Development were applied at 6, 12 and 30 months; to assess language development, the MacArthur-Bates Communicative Development Inventories were applied at 12 months and the Peabody Picture Vocabulary Test at 30 months. Results After adjustment for confounding variables, the results showed that infants prenatally exposed to cigarette smoke recorded poor cognitive development scores. Language development was most consistently affected, specifically those aspects related to auditory function (vocalizations, sound discrimination, word imitation, prelinguistic vocalizations, and word and sentence comprehension). Conclusions for Practice Irrespective of prenatal, perinatal and sociodemographic data (including infant postnatal nicotine exposure), prenatal exposure to cigarette smoke and second-hand smoke affect infant cognitive development, especially language abilities.